For ten years technology experience, our 4DM seats have “three Ultra features”: Ultra silent, Ultra energy saving, Ultra durable. 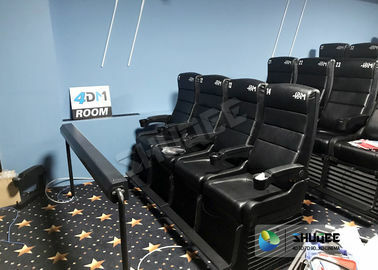 4D Movie Theater seats applying FR(Flexible Rotation) crank system, performing without abnormal sound, Ultra silence. 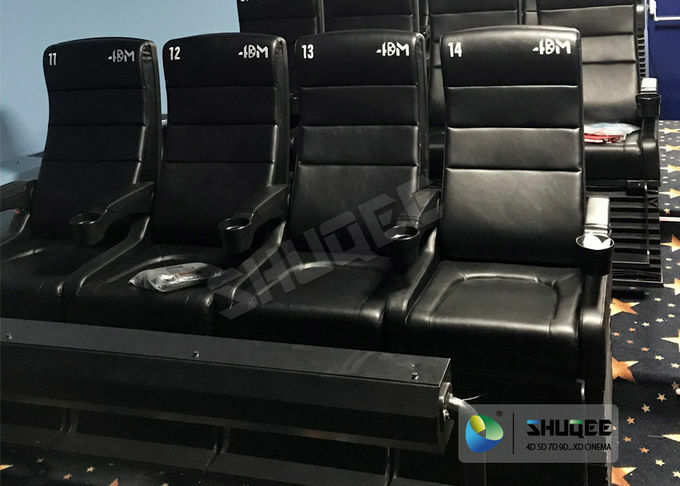 4D Movie Theater seats need to be non-stop tested for at least 168 hours before shipping, able to run for ten years and free of failure, Ultra durable. 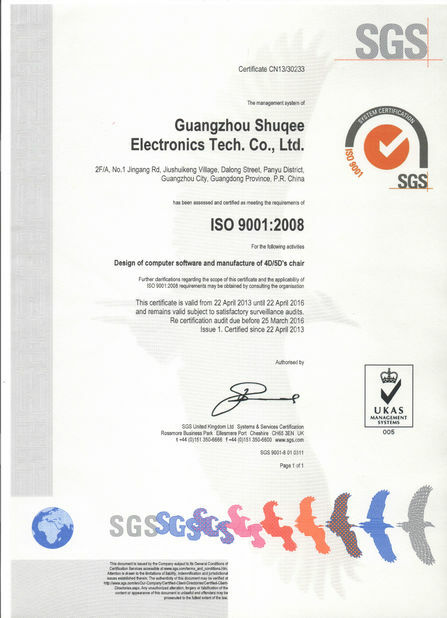 Guangzhou Shuqee Digital Tech.Co.,Ltd citing the international forefront of innovative design concepts, gathering many senior professional technicians, and fully implementing the ISO9001:2008 quality Management Implementation of standards, which a company that focus on 4D Movie Theater chair system development, equipment production, planning and construction, operation and maintenance, has a leading position in this industry. Why 4D Movie Theater Seats Attract More People? For example: audience can feel the free flight of spacecraft, the excitement of car chasing, the explosions in the war, or the strong wind when dinosaur passes by. Other accessories Pipes, bubble oil, snow oil, etc. We can come to buyer's place to install, test and train your person. For hardware problem, if any part broken during 1 year warranty period, we will change new spare part. 2. If any part broken after warranty period, if you can find in your local city, we suggest you get it there, if you want to buy from us we will just charge you the real material cost. 3. Lifelong maintenance and technical support. 4. Lifetime free software upgrade. What We Can Do When You Buy Our 4D Movie Theater? 1. For all inquiries about us or our products; we will reply you in detail within 24 hours. 3. We offer OEM services. 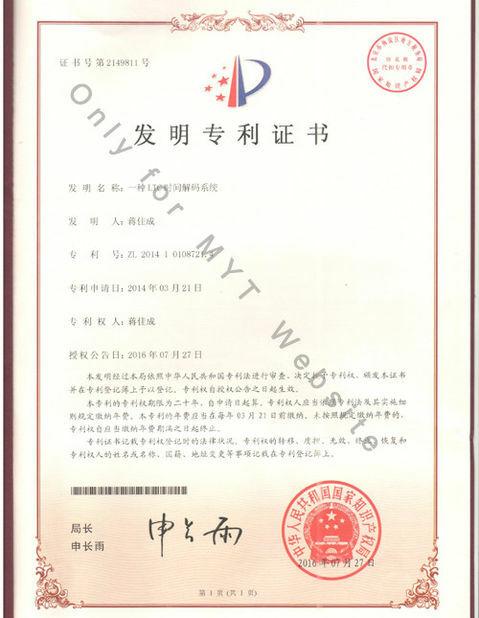 We can customize the goods according to customer’s need.